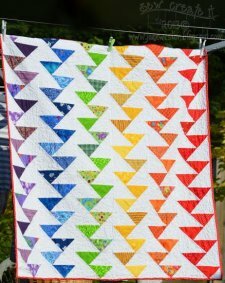 "As promised a tutorial for my latest finish...the Rainbow Quilt. 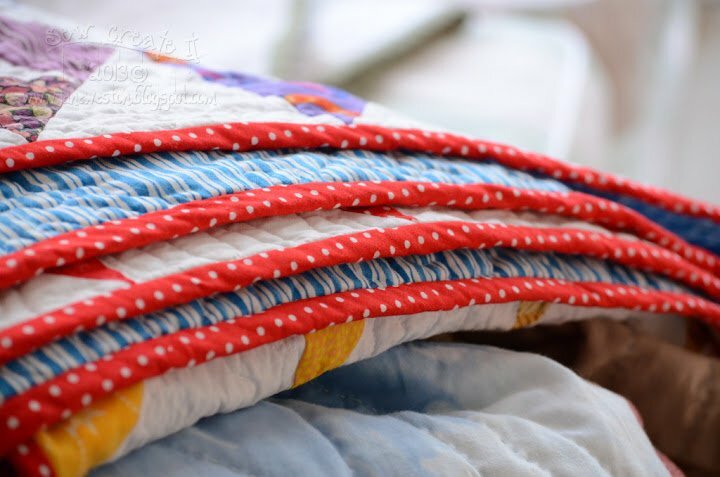 The daughter of a dear friend of my mom's had a baby boy in May and in my book babies = quilt. 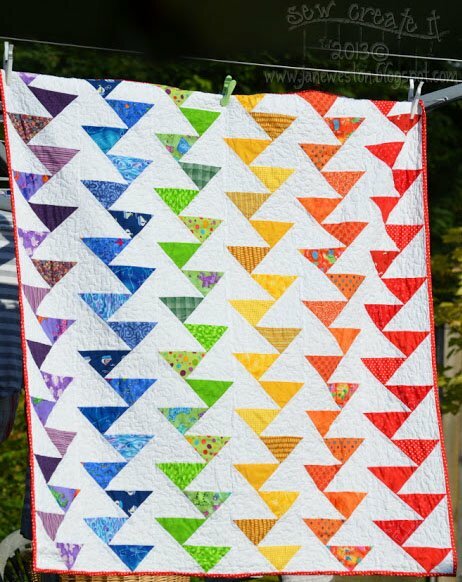 So I got to work on this little quilt..I hope she likes it! As the mother is a school teacher I thought what better than a quilt with all the colours of the rainbow...ah yes, you bright spark at the back might notice I forgot indigo...well creative license I'm afraid as a) indigo isn't a easy colour to source and b) having 7 colours messed up the maths for a square quilt."